What Day Of The Week Was February 2? 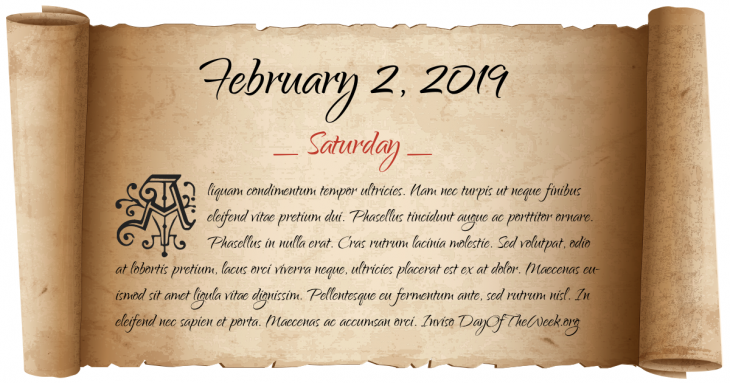 February 2, 2019 was the 33rd day of the year 2019 in the Gregorian calendar. There were 332 days remaining until the end of the year. The day of the week was Saturday. Terra Mariana, comprising present-day Estonia and Latvia, is established. California Gold Rush: The first ship with Chinese immigrants arrives in San Francisco, California. Grand Central Terminal is opened in New York City. The Export-Import Bank of the United States is incorporated. The Hungarian Republic is proclaimed. Who were born on February 2?